Yamaha Motor and enRoute Discussing Industrial Drone Alliance Aiming to Expand Global Business and Develop New Market Sectors - News Releases | Yamaha Motor Co., Ltd.
Yamaha Motor first entered the Taiwanese motorcycle market in 1966, and currently sells 290,000 motorcycles per year (2017 results), predominantly models produced at Yamaha Motor Taiwan. Yamaha Motor Taiwan also manufactures and sells the E-VINO electric scooter, and exports it to Japan. Development functions are carried out by Yamaha Motor Research & Development Taiwan, which mainly develops scooters for the Taiwanese market. 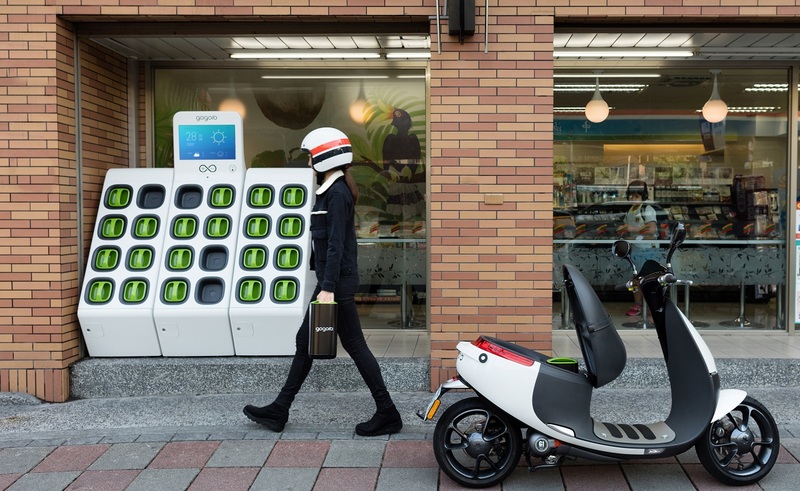 Through this collaboration with Gogoro, Yamaha Motor aims to promote expansion and enhancement of its product lineup - which also includes gasoline-powered models - in the Taiwanese market, as well as increase user convenience by utilizing Gogoro's network of battery-swapping stations for the new electric scooters.